The natural benefits of mineral baths were no secret to our forebears, for whom 'taking the waters' was a popular pass time. 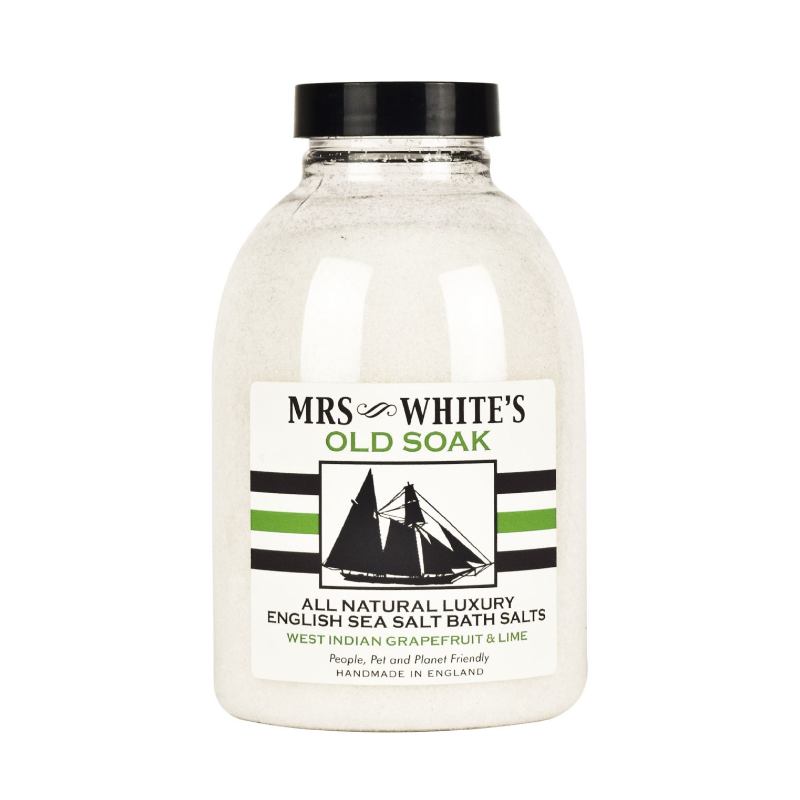 Mrs White's Old Soak is a range of old fashioned bath salts which use only mineral rich English sea salt. West Indian Grapefruit & Lime; we wanted to create a clean, simple and fresh fragrance that was instantly uplifting and can be used in any room in the house. It is perfect for neutralising cooking smells, instantly removing lingering odours such as fish. The tangy, invigorating Grapefruit and Lime are lifted by a slight fruity sweetness. This is a truly distinctive and cooling fragrance, perfect on a hot summer's night. Antioxidant properties and will help draw impurities and toxins from the skin. Rosemary & Orange; I have always loved the powerful combination of rosemary and orange. Not long ago, having prepared a sauce with these two fragrant ingredients, I held my hands up to my cooking companion and said; 'smell that, I could bathe in it.' 'Well you can do' she reminded me! This is a great one for children, a scent they will love with serious germ killing properties. Stimulates hair growth, restores life to dull skin and hair and a fantastic all round feel good tonic. La Lavende; our lavender blend uses only essential oils from the finest flower crops to create a crisp lavender aroma which is instantly recognisable. 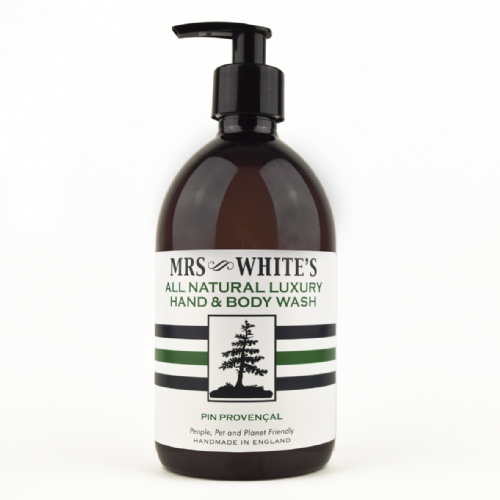 Much more modern than more powdery, traditional lavenders, Mrs White's La Lavande mixes flowers from the rolling hills of Provence, sun drenched Spain, Italy and even home grown lavender from the Garden of England. Calming and de-stressing. Perfect for bedtime, as aids sleep and eases tired muscles. Wild Mint; near to our home in the South of France there is an almost mythological lake. We were aware of its existence for years but it took ten years to be trusted by the locals with its secret location. When we eventually followed the instructions down the winding tree lined dirt track what met us was as close to paradise as I have ever come. We sat down to take in the beauty of this hidden treasure. Children ran past us through the meadow to the lake's sandy shore as they did so they trampled the wild mint that grew there underfoot releasing a scent that I shall always associate with the joy of that moment. Great for headaches, aiding breathing and clearing skin blemishes.